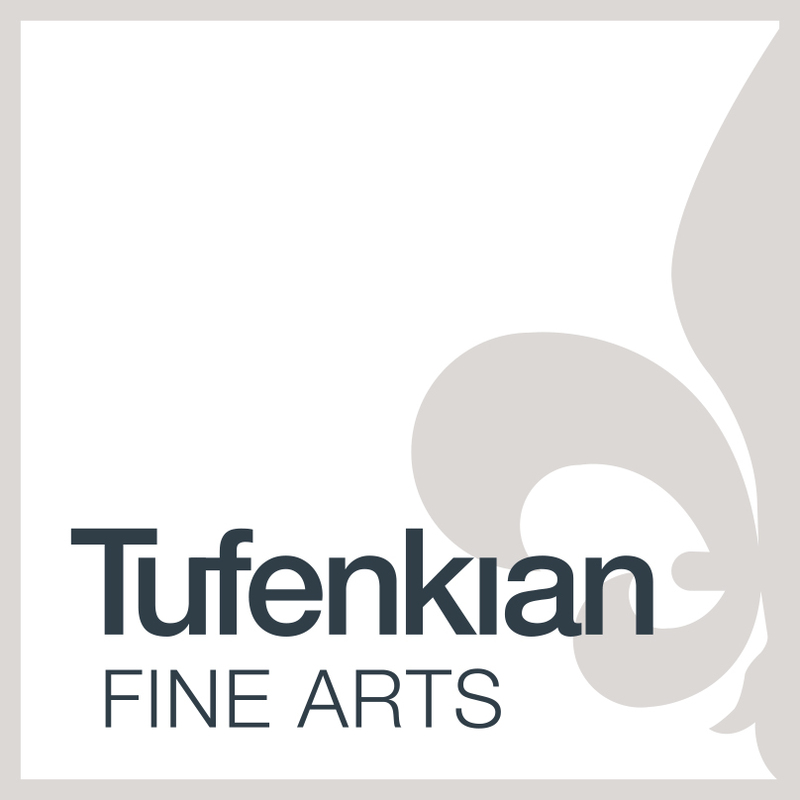 Dedicated to serving as a resource for buyers, collectors, and those moved by the artistic expression of modern art and contemporary art, Tufenkian Fine Arts presents the works of museum level local and international artists. Established by Caroline Lais-Tufenkian, a Swiss Armenian patron of the arts in Southern California, the gallery presents and connects audiences to excellence in contemporary fine art through a dynamic exhibition schedule, Artist Talks, and publishing art books with essays by leaders in the art world. Working in the arts community for two decades, Lais-Tufenkian has organized exhibitions for emerging and established artists working in a variety of mediums and stylistic expressions including abstraction, figurative art, and representational art. Lais-Tufenkian curated exhibitions for Seta Manoukian, John Altoon, Vahe Berberian, Arthur Sarkissian, Aram Vartanov, Joanne Julian, just to name a few. Among the more substantial exhibitions curated by Lais-Tufenkian are the 2001 exhibition “Modern Icon: Contemporary Artists and the Legacy of the Armenian Illuminated Manuscript” at the Brand Library & Art Center, “Los Angeles Intersections” displaying the works of 6 women artists at the newly opened Cal State Northridge art galley, and co-curated “life100” in recognition of the centennial of the Armenian genocide at the Brand Library & Art Center. In 2010, she was invited to be on the Friends of Arshile Gorky committee during "Arshile Gorky: A Retrospective" the major exhibition surveying Gorky's work at MoCA. Following years of curating at various venues in Southern California, in 2015 Lais-Tufenkian established Tufenkian Fine Arts in the industrial neighborhood in Glendale where she organized 8 exhibitions. Additionally, during that year Tufenkian Fine Arts participated in the LA Art Show and the Palm Springs Fine Art Fair. The current location has been open since October 2017.